That was the theme of this year’s Hillsong Conference. (I called them my “AHA, and AMEN moments”). There were also several divine connections this trip. Two of my classmates from my recent Art Therapy class went to the conference too (and no, we didn’t plan for it together, infact, we hardly talked to one another in class). And I made some new friends! There were awesome speakers at the conference this year, including my pastor, Joseph Prince, Judah Smith (Pastor of Justin Bieber), Carl Lentz (the very cool Hillsong NY pastor), famous authors and pastors, Rick Warren, Brian Houston, Jentezen Franklin and John Maxwell. While almost every session spoke into my life, I was very moved by the sharing from Pastor Rick Warren and Joel Houston. Rick Warren is the bestselling author of the book, ‘The Purpose Driven Life.’ The part that touched me most was his sharing about the suicide of his son who battled with mental illness throughout his life. Joel Houston’s session can also be found here. 1) Be Yourself. God wants you the way you are; the one that’s broken, the one that is in pain, the one that doesn’t have it all together, the one that is confused, the one that is sick. He doesn’t need you, He WANTS you. 2) Be Real. Peel away all the layers of covers, the inauthenticity, the pretence in order to fit in with others in the world. We live in a society that’s based on ‘impression’ but a real and authentic person draws people to them. Oh yes, I did shop (a bit). 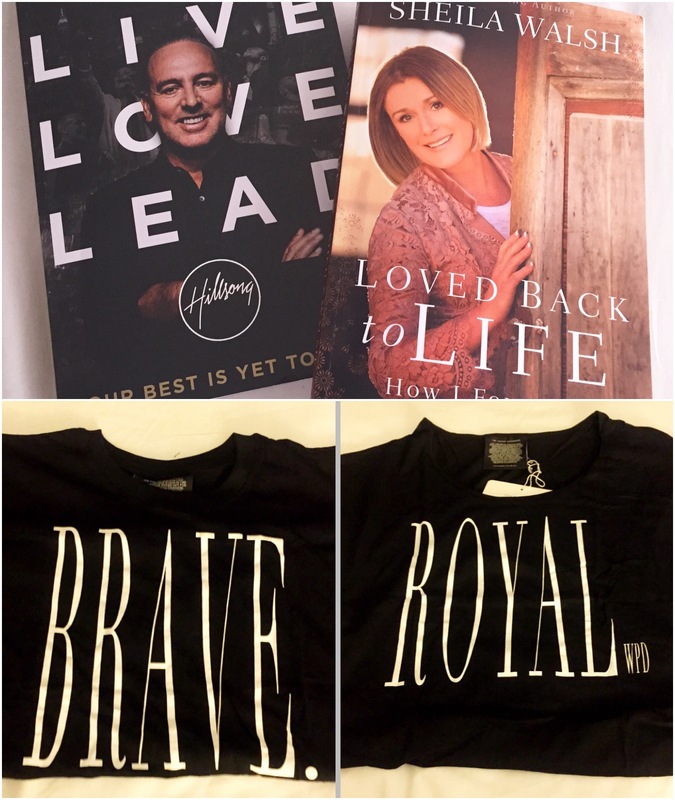 Love the books and the two new T-shirts I got from the conference, especially the one that says “BRAVE”. Registration for 2016 is now opened. 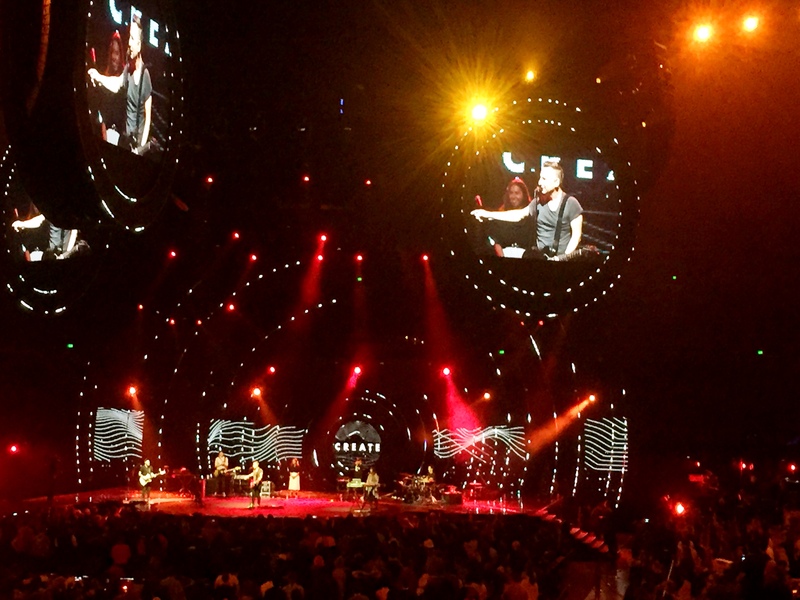 Next year will be Hillsong Conference’s 30th anniversary. I believe there will be big celebration in the house of the Lord. Here is a PDF document of this year’s itinerary for reference. The masterclasses are practical sessions, usually on specific topics & interest areas. This entry was posted in Life Stories and tagged hillsong, Hillsong2015, Hillsong2016, Joel Houston, Rick Warren, Sydney by Priscilla Tan. Bookmark the permalink.